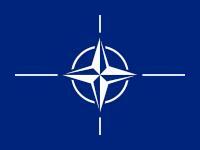 On Aug. 21, the Russian Defense Ministry announced its decision to halt military cooperation with NATO members. The Russian announcement comes only a week after Moscow tried to convene a special meeting of the NATO-Russia Council to discuss the situation in Georgia, but was rebuffed by the alliance. Instead, NATO foreign ministers met independently of Moscow on Aug. 19, when they threatened to curtail military cooperation with Russia.